Women and Girls Lead and CARE are partnering for a special live online screening of the PBS documentary Pray the Devil Back to Hell (part of the recent Women War & Peace series), followed by a live panel discussion with Executive Producer Abigail Disney, PBS CEO Paula Kerger, and CARE President Helene Gayle. The event will take place on the eve of International Women’s Day from Washington, D.C. March 7 at 7:30pm ET on CARE’s website. 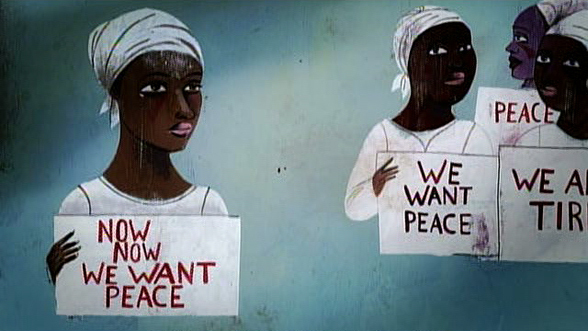 Pray the Devil Back to Hell is the astonishing story of the Liberian women – including Nobel Peace Prize winner Leymah Gbowee – who took on the warlords and regime of dictator Charles Taylor in the midst of a brutal civil war, and won a once unimaginable peace for their shattered country in 2003. Wednesday’s screening is one of three high-profile events honoring International Women’s Day. Visit the newly minted Women and Girls Lead website to find upcoming events, an online film festival, and more features as we honor Women’s History Month.